One of the "advantages" of sending daddy and son for grocery shopping is that you ended up with too many of something and too little of others. It is quite clear that both father and son have the wrong notion of the amount of bananas we can eat in a week, they brought two bunches of bananas back and without fail are all ripen in less than a week, leaving me with tens of overripe bananas to work on! My son A has been tirelessly playing with alphabets lately, he spent most of his time spelling and learning spelling of words. So I made this alphabets banana pancakes over the weekend to encourage A to eat more and to upkeep his learning spirit. He was thrilled and was eagerly waiting for the next alphabet even before it is done cooking! 1. 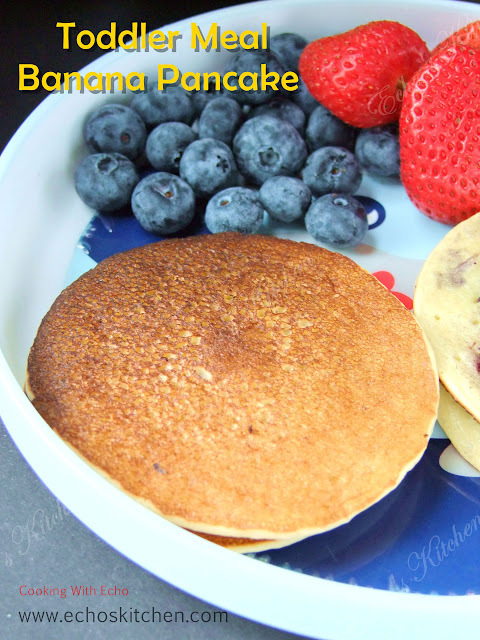 Blend together banana, milk, egg, vinegar and butter into a smooth batter. 2. Add steel cut oat, multigrain Atta and all purpose flour into the blender and continue to blend it into a smooth batter, add baking powder and baking soda and blend until smooth again. 3. Heat up a griddle/skillet, spread a thin layer of butter, turn the heat to medium low. 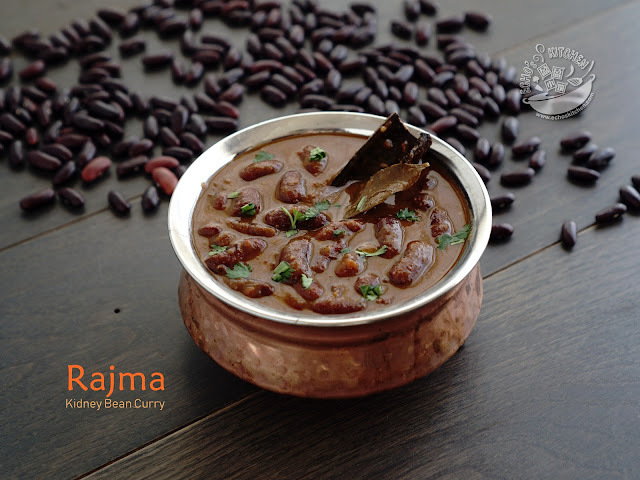 Scoop out 1/4 cup of batter and spread on the pan, cooks until surface of pancake have bubbles and few have burst, flipped and continue cooking for around 45 seconds or until underside are browned. 4. 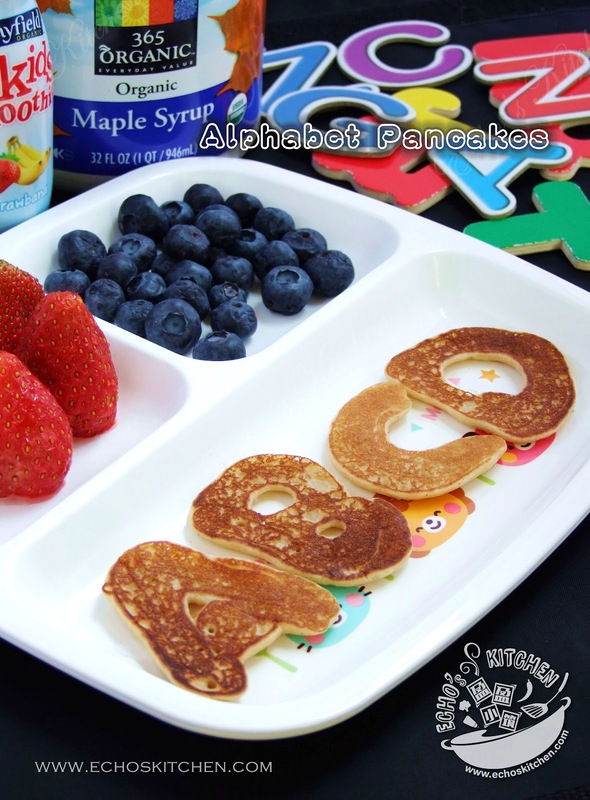 To make the alphabets pancakes, pour the pancake batter into a squeezable bottle, spread a thin layer of butter, turn the heat to medium low. 5. 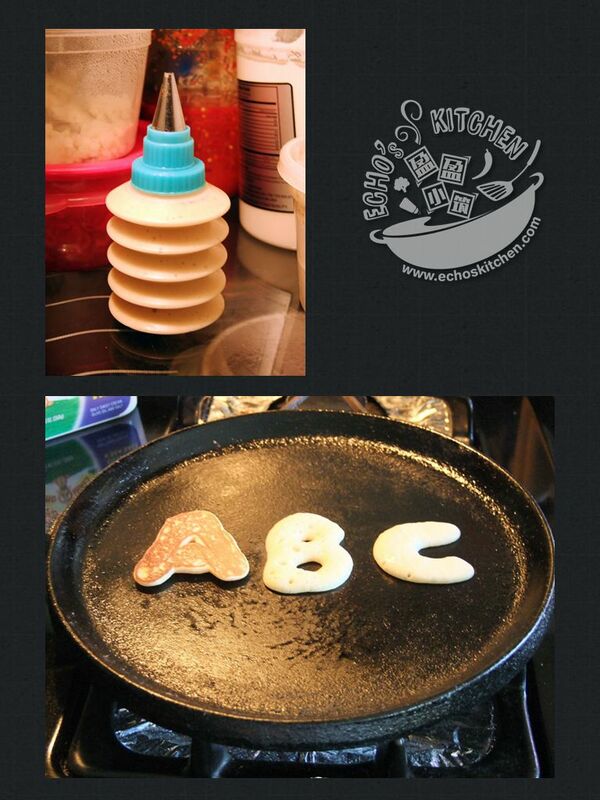 "Write" letters/alphabets by squeezing batter onto griddle/skillet. 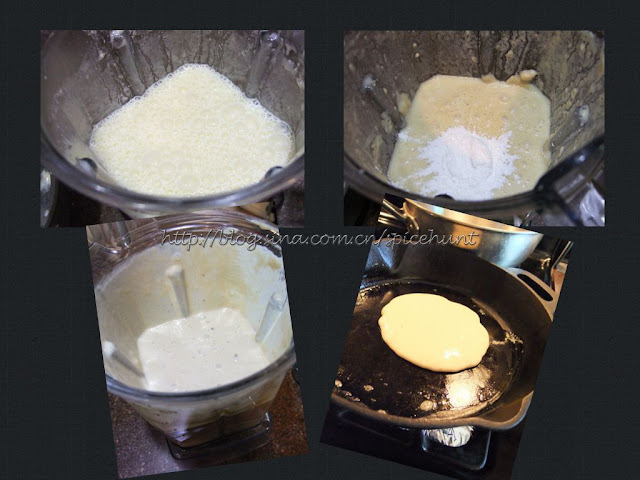 Cook as you would with normal pancake.